Hello to a New Year! 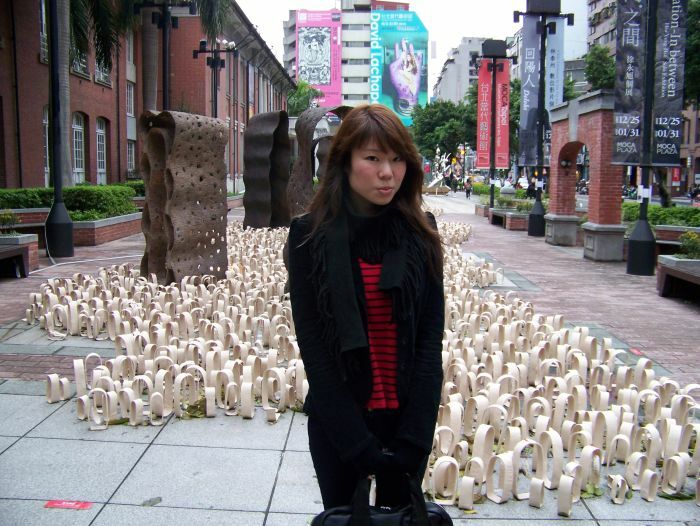 This second installment features the quirkier side of Taiwan. 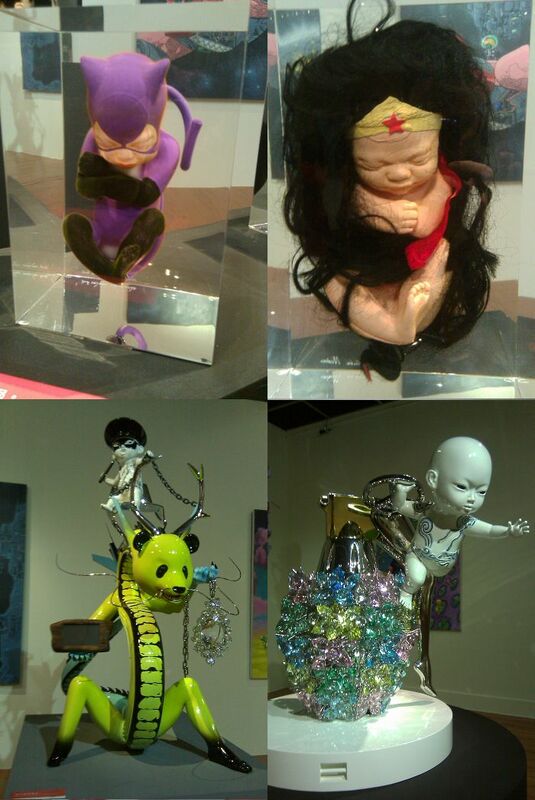 Not only do the Taiwanese like to have fun and have a keen eye for unique art, but they also have a sense of humor (sometimes in a crass and twisted way!). Yet somehow they manage to add some cuteness in the mix as well. Our friend took us to the local bar in Linkou, outside of Taipei, on our first night. The bar is called Tequila (a short walk away from the Fullon Hotel) and is basically the only bar in town. We were immediately accosted by the adorable waitresses, and I was told I reminded one of them of her cousin's sister. Great little dive bar with tons of charm if you ever stop by Linkou! 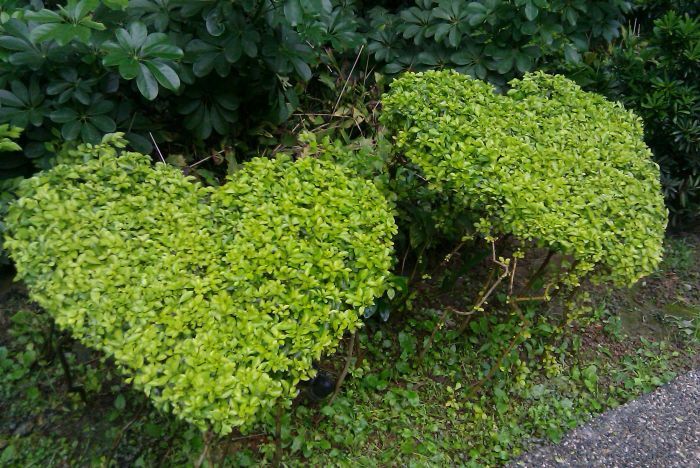 Shrubs trimmed into hearts in front of a "love" hotel! 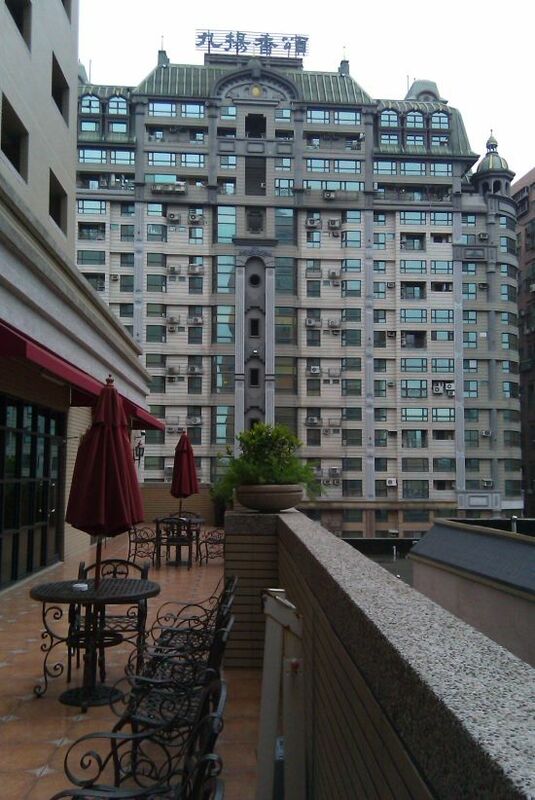 View from our hotel's rooftop. 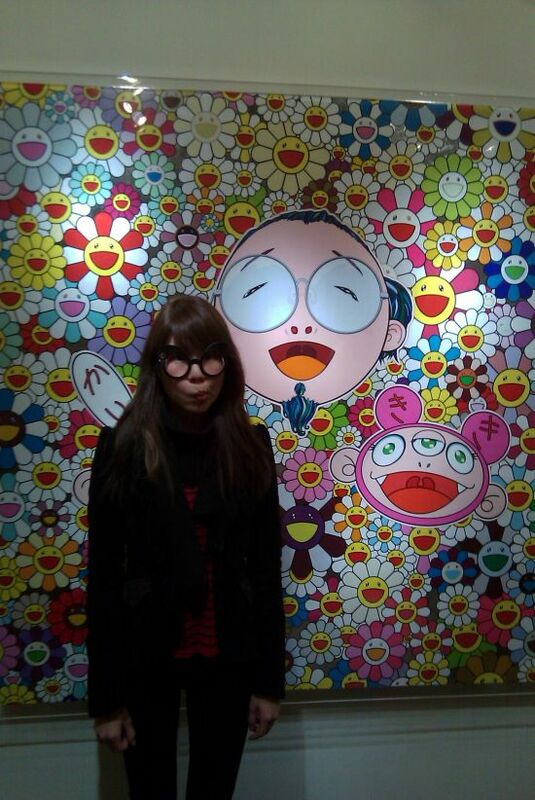 One place you must check out while in Taipei is MOCATaipei. 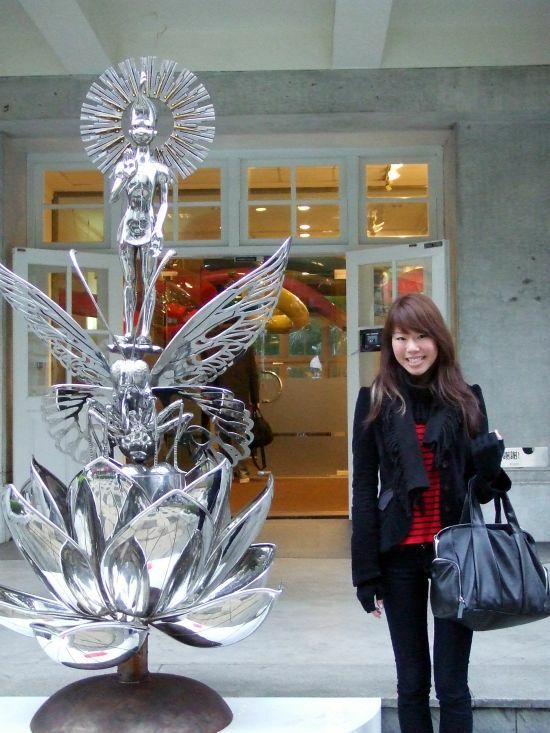 One of the best contemporary art museums I have been to and very well curated. I took advantage of my admission ticket which came in the form of glasses. 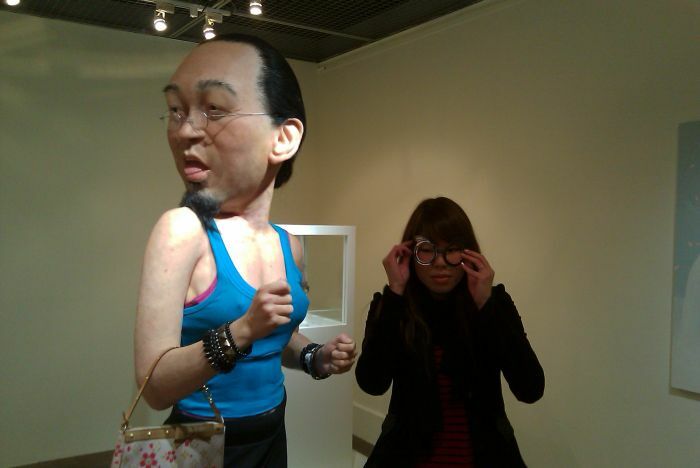 A disturbingly realistic sculpture of Takashi Murakami in women's clothing?! 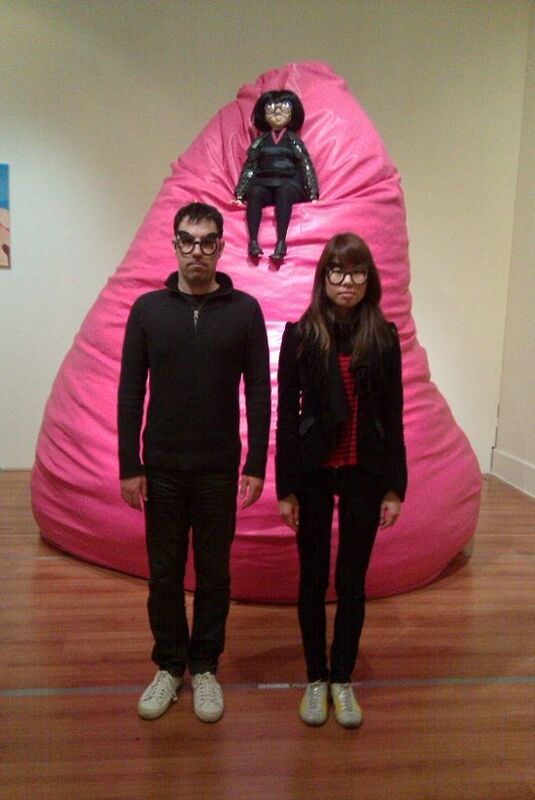 This is our version of ART. 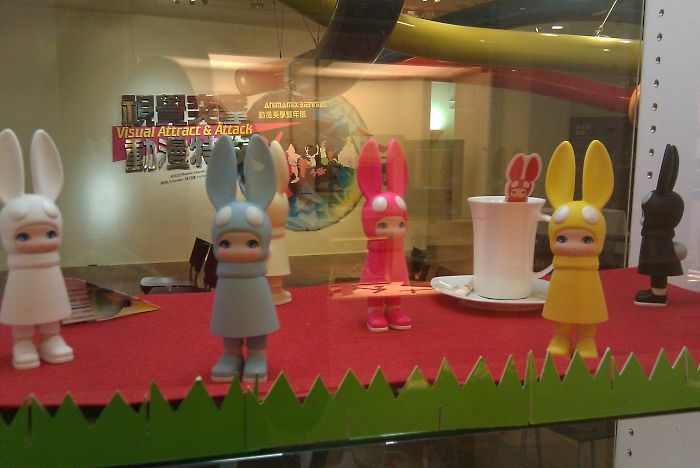 I really wanted one of Hiroyuki Matsuura's Windy bunnies, but unfortunately they were priced at over $200. 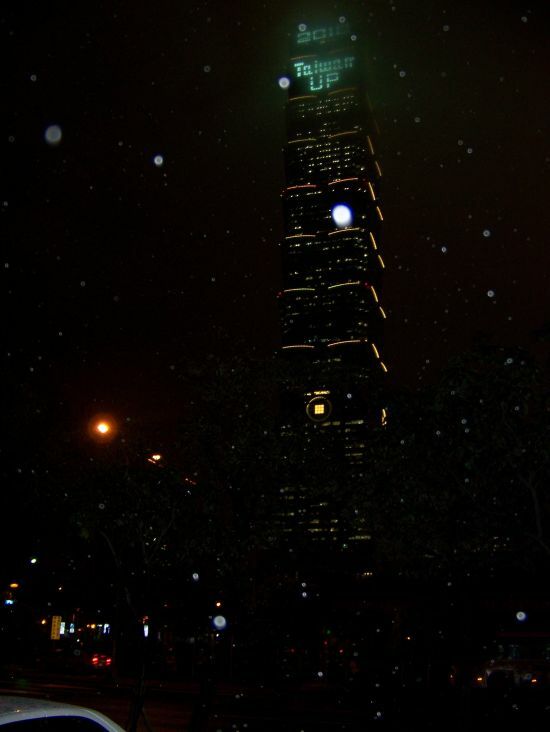 The second tallest building in the world is in Taipei. We ended up not going to the top due to the dense fog that night. 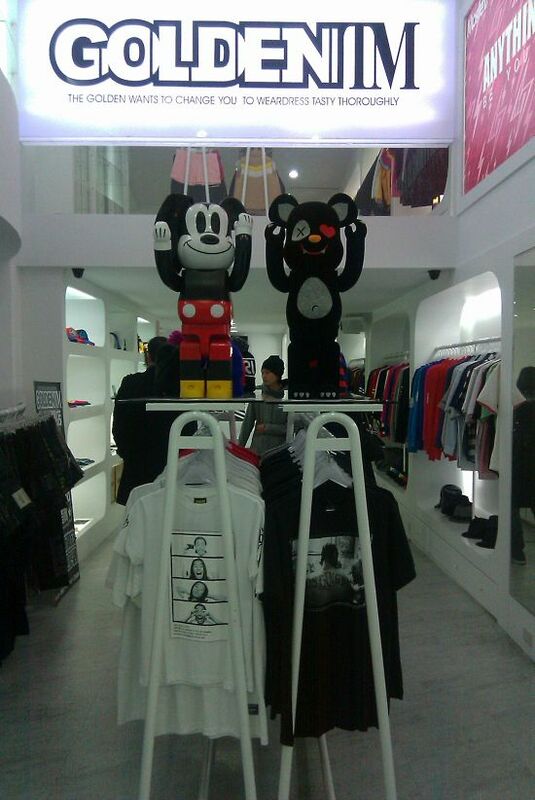 Ximending, a young and hip area that hosts a ton of neat shops and trendy kids. 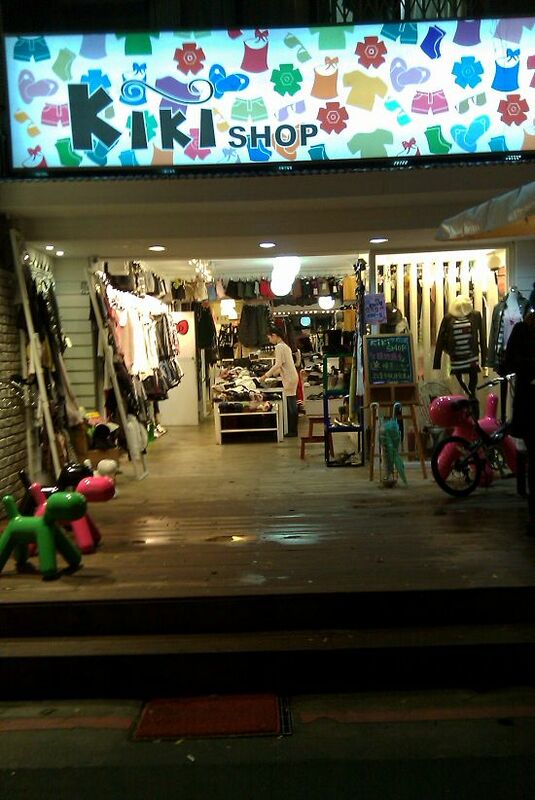 I just noticed the Engrish on the sign. Classic. We also ran into a gigantic toilet looming above our heads! 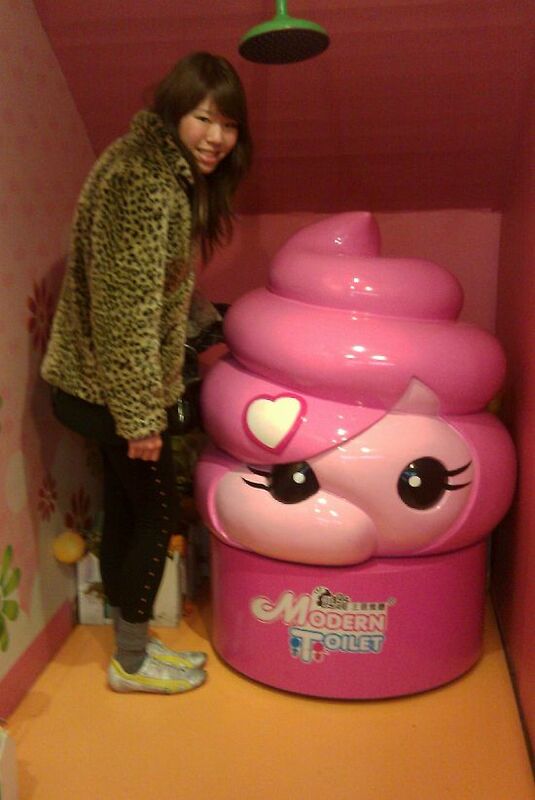 Photo op with a pink turd. 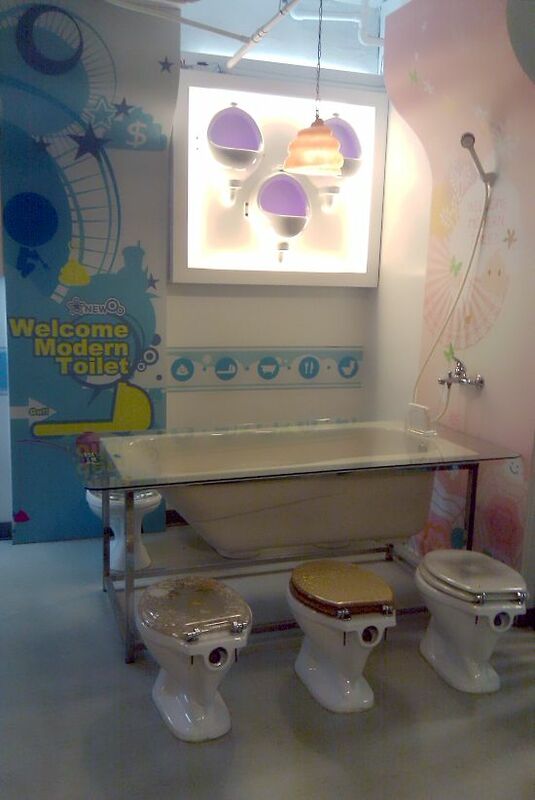 Curious, fascinated, and a little grossed out, we decided to eat at The Modern Toilet. All in all, a truly unforgettable experience. 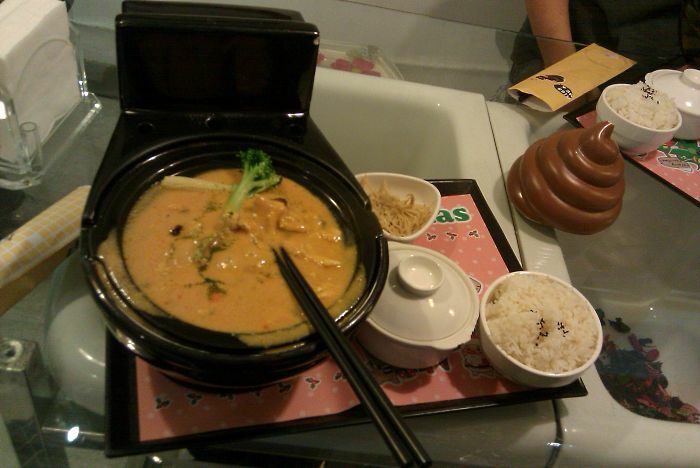 Where else can you eat curry out of a ceramic toilet bowl? Ahhh, the curious wonders of a foreign country. Check back for the last issue of my trip in Taiwan. Toodeloo! gorgeous pics, it looks like fun times! ok so this is THE coolest place on earth - I have to go asap!! 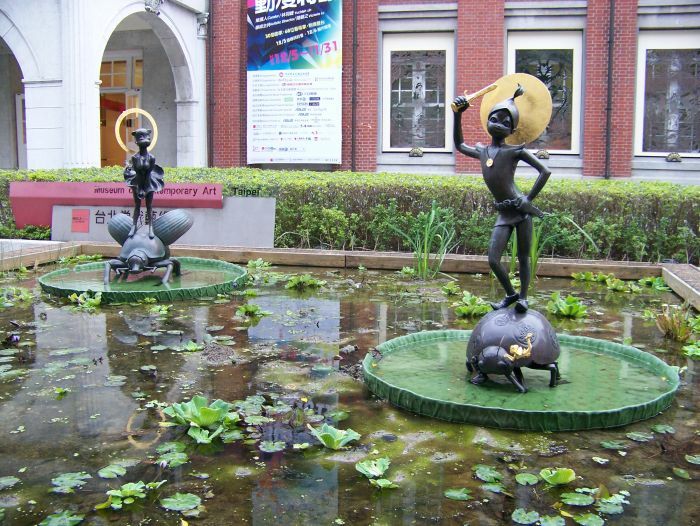 Taiwan looks really fascinating it has the east asian charm, I've realised I know so little about Taiwan! 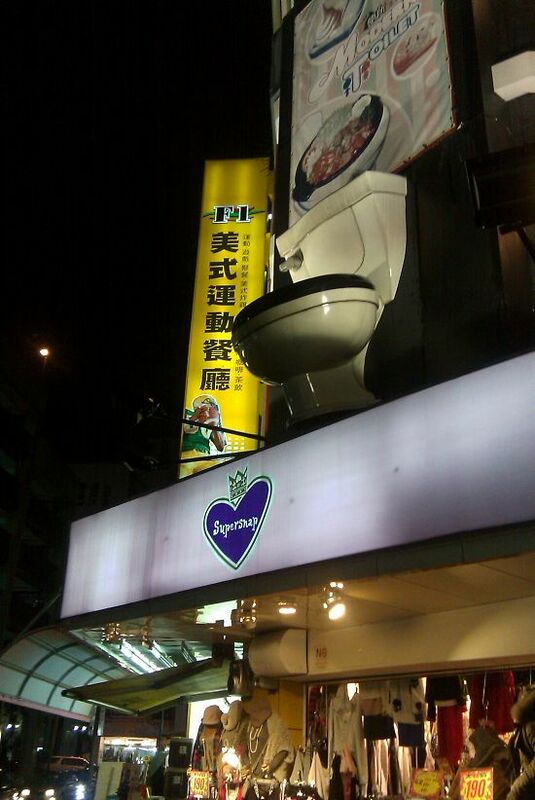 OMG the toilet wonder is crazzyyy...so want to go there!!!! 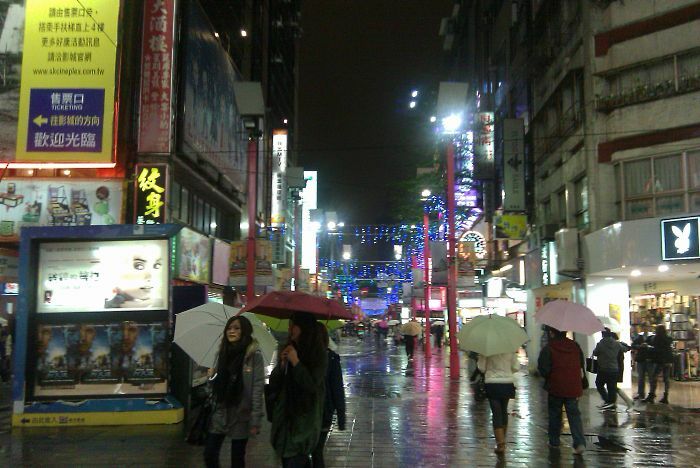 You make us totally want to go to Taiwan...thanks for sharing!! Grace: Well then, I think it's time for you to go back! I'm missing it already. Antonia: Yes, definitely one of the coolest places I've been. Really unique and kooky places always catch my fancy! And yes, you must go ASAP! 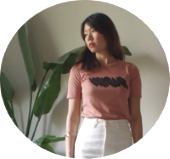 The Guilty Hyena: Before going to Taiwan, I hardly knew anything about it except that it was my parents' birthplace. I'm really glad I went and experienced it finally. My mom and I had a great conversation about Taiwan when I got back. Apparently, it has changed a lot since the last time she was there. so jealous of your trip! 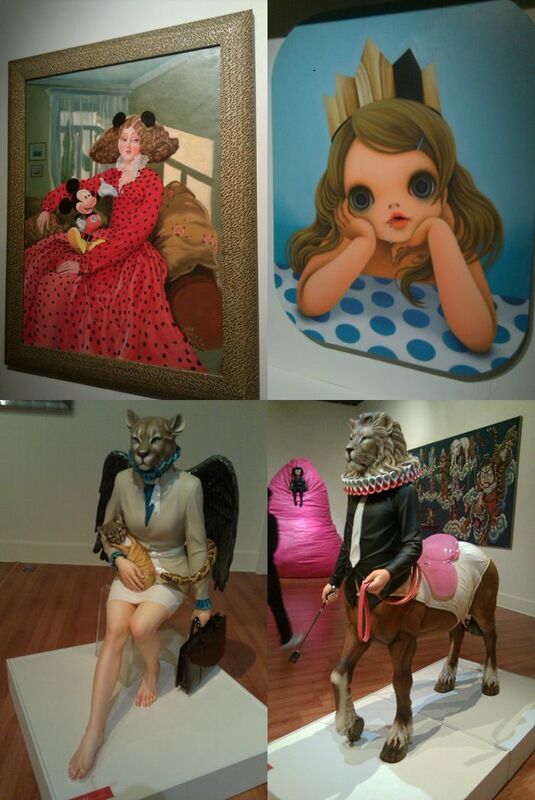 the artworks are super unique and kinda creepy, but that's art, right? i'm pretty sure the food was to die for as well. argh jealous!!! 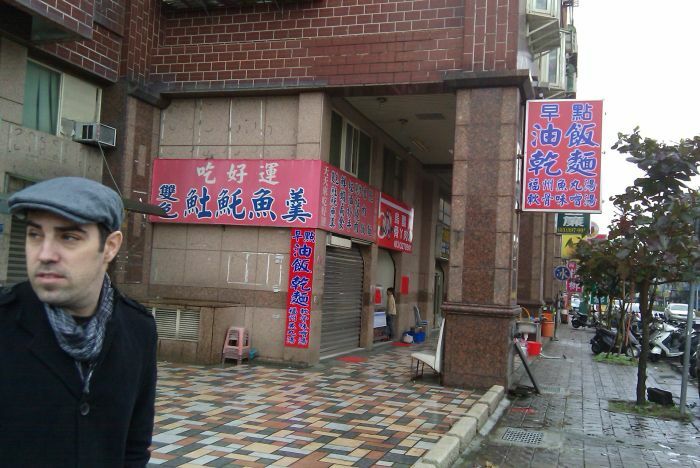 i know this is an old post, but you just made me miss taiwan so much! clouds of tulle: Ha, looking back at the pictures is making me want to return right now! I loved it there! We must go back soon!